Popularly known as Inderal, Propranolol is a beta blocker drug that can treat cardiovascular diseases such as high blood pressure, arrhythmia, and capillary haemangioma. It has also shown potential in treating psychological disorders like PTSD, phobias, and aggression among those with brain injuries. Propranolol is a beta-blocker that works by blocking the action of some neurotransmitters in the brain. These neurotransmitters include epinephrine (adrenaline) and norepinephrine (noradrenaline). By doing so, the drug is able to relax blood vessels and slow down the heart rate of the patient. Hence, this pharmacological action is the reason why physicians use the drug as a treatment for people with high blood pressure and other cardiovascular diseases. Moreover, it is often an oral drug available as an extended-release or instant release drug. Nevertheless, consult a physician to know which variant is best for you. Can I Use Propranolol For Anxiety? Anxiety is a psychological disorder that almost everyone may experience. It can be due to various reasons such as environmental factors, stress, psychological disorders, or genetics. Its intensity can also vary widely from mild worry to intense panic attacks. Its subtypes are the most common mental disorders adults and children experience worldwide. Propranolol blocks the stress hormone adrenaline. This may be the reason why some individuals experience some sense of calming effect when taking the drug. However, a 2016 study on the efficacy of Propranolol in treating anxiety was unable to find enough evidence for such claims. A promising effect of using propranolol for anxiety is its ability to lower high blood pressure and decrease heart rate. People experiencing anxiety attacks often suffer palpitations. Hence, by taking Propranolol, the symptoms may be alleviated resulting to a calmer state for the patient. Make sure to consult a doctor before taking Propranolol for anxiety. Propranolol may be dangerous for some types of people. People with diabetes, Raynaud’s syndrome, or Myasthenia gravis should take extreme caution before taking Propranolol for anxiety. Lastly, taking it without guidance can result in adverse or even deadly side effects. 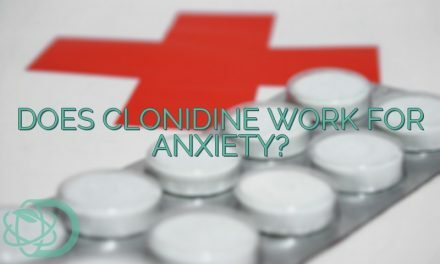 Also Read: Does Hydroxyzine Work For Anxiety? Steenen, S. A., Wijk, A. J., Heijden, G. J., Westrhenen, R. v., Lange, J. d., & Jongh, A. d. (2016, February 30). Propranolol for the treatment of anxiety disorders: Systematic review and meta-analysis. Journal of Psychopharmacology, pp. 128-139. PreviousDoes Hydroxyzine Work For Anxiety? NextDoes Gabapentin Work For Anxiety?